Asbestos, a group of naturally occurring minerals, is a toxic material used in many construction applications. Although no longer in regular use, asbestos is not banned in the U.S. and can still be found in certain flooring, insulation, and roofing products. Asbestos has been linked to various health conditions and caution must be taken when handling or removing asbestos to prevent being exposed to toxic fibers. Review our guidelines for working with asbestos safely and protect your health by following all safety protocols. There are a variety of safety concerns and issues to be aware of when working with asbestos in any type of situation. Whether removing or installing asbestos-containing material, workers must take great care to follow the do’s and don’ts of staying safe with asbestos. Your health depends on it. If not already predetermined, stop work and report to an employer or building owner if you think you’re working with asbestos materials. Wear protective clothing at all times, which may include a face mask and body suit. Clean up the work materials as you go to prevent waste from building up. Double-bag all waste and dispose of it properly. Wash hands before breaks and returning home. Complete adequate asbestos training before starting work. Create a lot of dust in the area containing asbestos materials. Use a broom or other tool to sweep up dust and debris—always use a Type H vacuum. Bring work clothing home that may contain asbestos particles. Reuse disposable clothing or masks. Smoke, eat or drink in the work area. For a more in-depth list of the do’s and don’ts for working with asbestos for various applications, read this article on the official asbestos website. 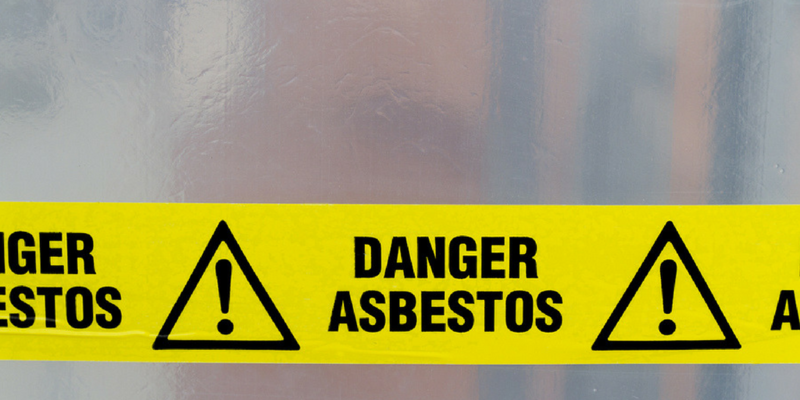 What are the Risks Involved with Asbestos Exposure? Asbestos is now a widely recognized health hazard and has been linked to asbestosis, a condition characterized by a build-up of scar-like tissue in the lungs; lung cancer, and mesothelioma which is a malignant tumor found in the membrane lining in the cavity of the lungs or stomach. Research shows that all types of asbestos fibers, even the most commonly used varieties, cause mesothelioma. These serious and often fatal health conditions and diseases can be brought on by the long-term exposure to asbestos-containing materials, and by not working with asbestos properly. What Can Be Done to Reduce Asbestos Hazards? There are certain safety practices that should be strictly followed to prevent serious health issues from causing illness or death. Asbestos exposures even in short durations can have negative impacts on health. There is no determined “safe” level of asbestos exposure for any type of asbestos fiber. Every single exposure to asbestos can potentially cause illness and can increase the risk of getting an asbestos-related disease. Airborne levels of asbestos must never exceed the legal worker exposure limits. The Permissible Exposure Limit for asbestos is 0.1 fiber per cubic centimeter of air during an eight-hour period. The Excursion Limit for asbestos is 1.0 fibers per cubic centimeter over a 30-minute period. Where there is exposure to asbestos, employers must provide protection for employees by establishing regulated areas, controlling work practices, taking action to reduce the airborne levels of asbestos, and providing personal protection equipment. Employers must provide medical monitoring for workers who are exposed to asbestos in amounts and durations at or higher than the legal limits. Employers are required to provide asbestos awareness training to all workers. For a complete listing of OSHA regulations for asbestos for the construction industry, general industry, and shipyard sectors, go here. Take one step closer to complying with OSHA standards and keeping your workers safe from asbestos hazards with the online asbestos awareness training from CertifyMe.net. The online course covers all standards including the safety practices for working with asbestos. Learn more about the course and how you can sign up here and find other OSHA certification programs from us!